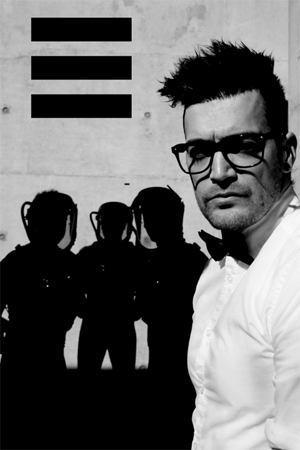 Visionary sci-fi rock band STARSET announce their biggest North American headlining tour to date. The tour starts January 28 in Charlotte, NC and wraps on March 16 in the band’s hometown of Columbus, OH. This marks a year’s worth of touring in support of their successful sophomore release, Vessels (Razor & Tie), which launched in January with a sold out U.S. headline tour, followed by tours with I PREVAIL, HALESTORM, and BREAKING BENJAMIN. Additionally, the band brought their cinematic live show to the main stages of the major U.S. rock festivals and award shows. Check out the band’s website for more information on upcoming tour dates, and watch the new video release for their single “Satellite” on KNAC.COM HERE. This year’s success for STARSET has proven that the band is a modern rock powerhouse to reckon with. The band’s latest release, Vessels, debuted at #11 on Billboard’s Top 200 Chart and #3 on the Rock Chart. Front man Dustin Bates collaborated with Marvel Comics to release a STARSET themed graphic novel this Fall, and the band recently reached a massive milestone by surpassing 1 Billion views on YouTube, which is in the same league as bands such as: FOO FIGHTERS, MUSE, BRING ME THE HORIZON and AWOLNATION. The band’s 2014 debut Transmissions, not only introduced us to STARSET with its hit single “My Demons”, but also The Starset Society, which they are a part of. The thought provoking, anonymous-like group of real-world rooted scientists promotes and publicizes science and technology and its potential affects on our society now and in the future, creating the foundation for STARSET’s musical and narrative themes.